A contemporary wall clock full of energy to liven up your living room ! Thanks to the sparkling colours of its rays showing the hours, it will adapt to your design deco. Free 48/72 h delivery in metropolitan France and Belgium to get your elegant design clock. The generous dimensions make of this original wall clock a real deco object. Useful and stylish this wall clock has no face only the mechanism and the hands can be seen. 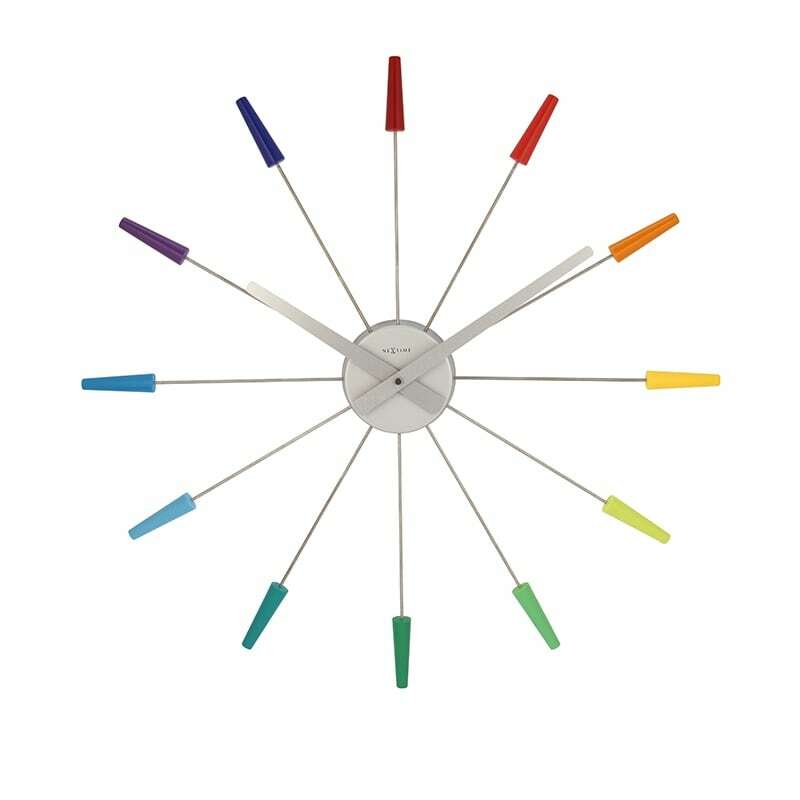 Like a colourful star the hours of this modern wall clock are shown by multicoloured points held by a stainless steel elegant axis from the the central mechanism. 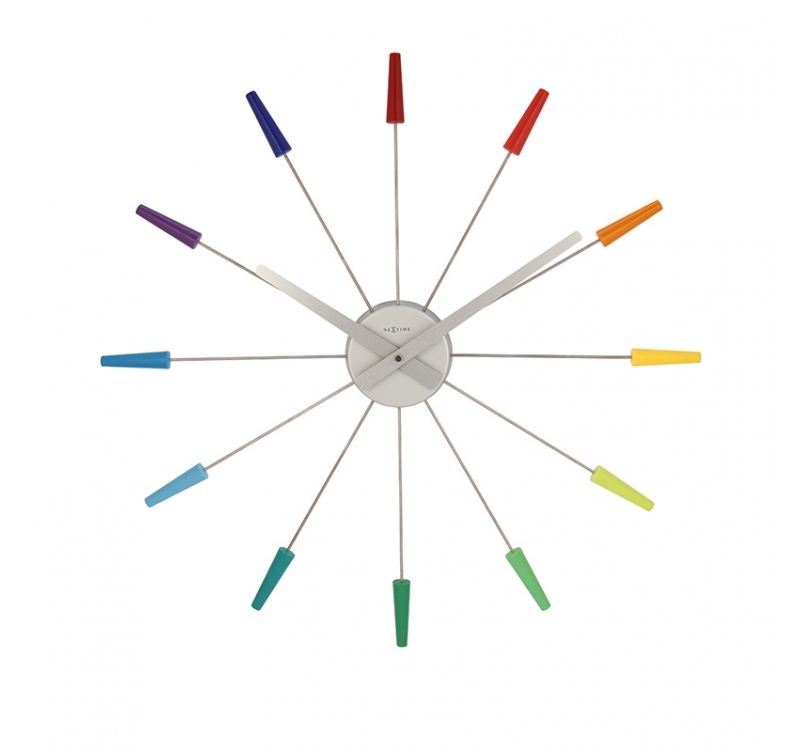 Associated with a sober and design interior decoration this design clock is a wall decoration in its own right. This original clock also exists in gold colour, silver colour and black.